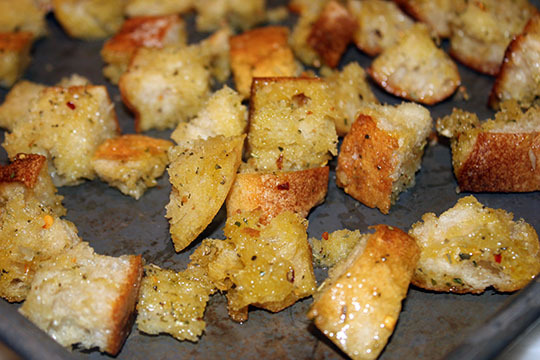 We need to begin by making the croutons. Preheat the oven to 425º. 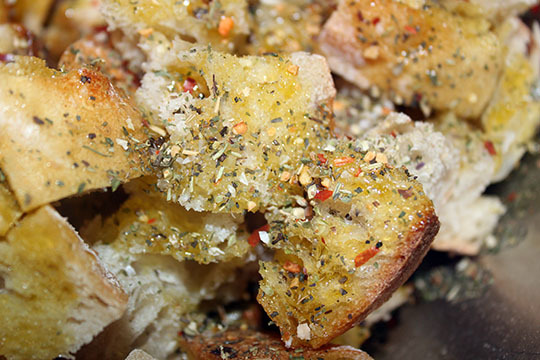 In a bowl add the cubes of bread, 2 tbsp of olive oil and 1 tsp An Evening in Tuscany and toss using your hands to ensure that the bread cubes are evenly covered. Place on cookie sheet and bake about 10 minutes or until nicely browned and crispy. Set aside. 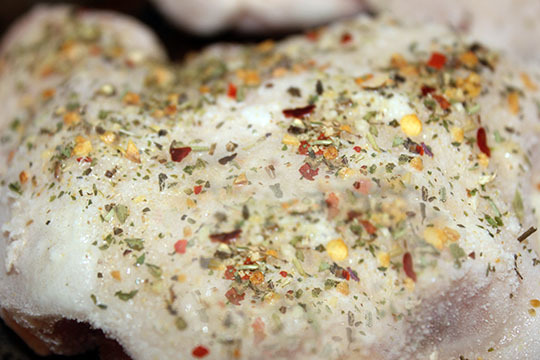 Reduce oven temp to 350º. 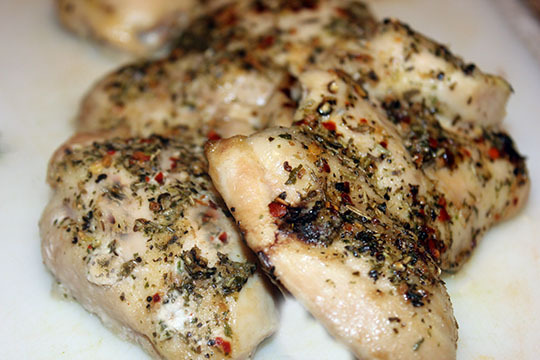 Place your chicken thighs on another cookie sheet and spray with cooking spray and sprinkle with 1 tsp An Evening in Tuscany. 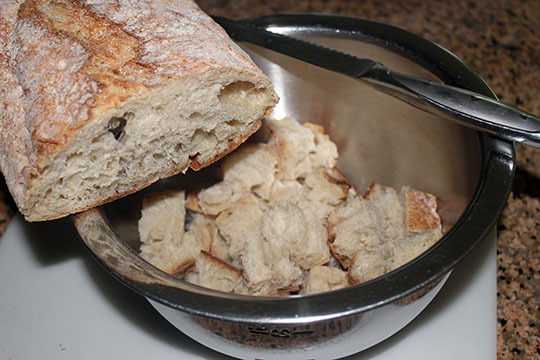 Bake for 20-25 minutes or until a thermometer reads 165º. Let cool and cut into bite size pieces. If not serving within 2 hours place in fridge. In another large bowl we want to add our tomatoes that have been cut into bite size pieces. 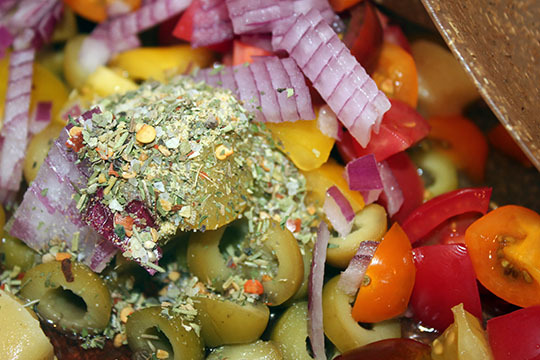 To that let’s add the garlic, onions, olives, oregano, 1 1/2 tsp An Evening in Tuscany and 1 tbsp red wine vinegar. Let sit on counter. 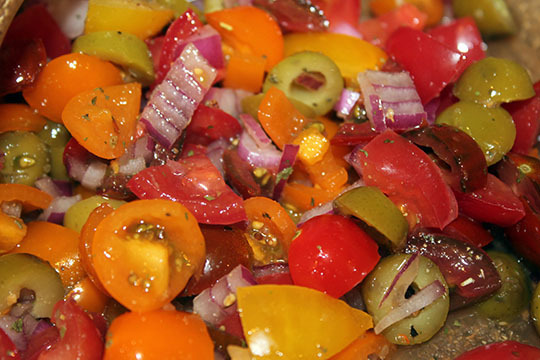 We will make a simple dressing by combining the remaining olive oil with 1 tbsp red wine vinegar. 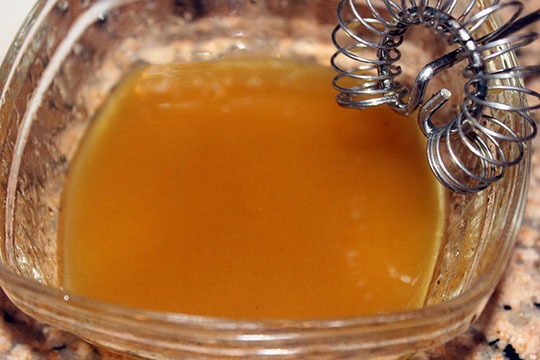 Whisk together until thickened. 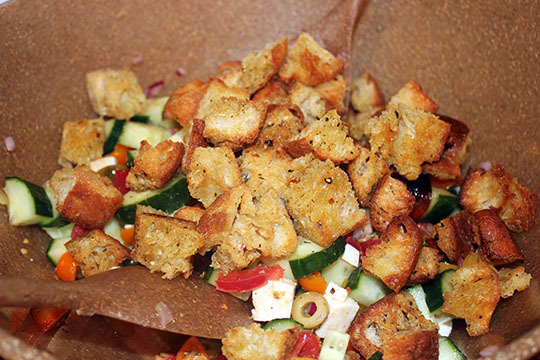 Add the dressing, cucumber, mozzarella, basil, parsley, arugula and croutons. Toss to combine making sure all is coated with the dressing. 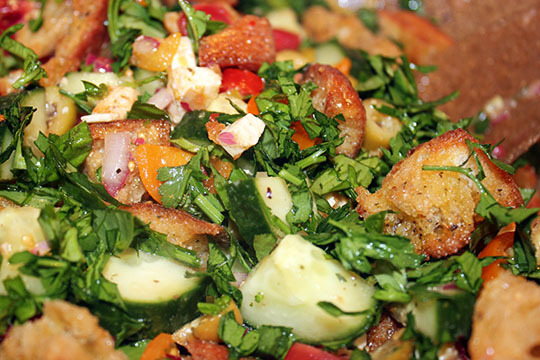 Here is the key part to making a wonderful Panzanella Salad, it needs to sit at room temp for 1-3 hours! 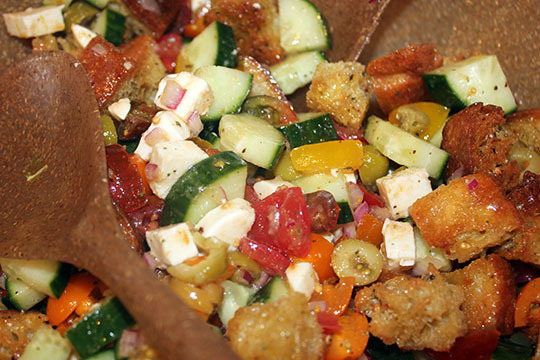 This will allow the tomatoes and dressing to soak into the dried croutons creating such fantastic flavor and texture that makes dish dish so special.